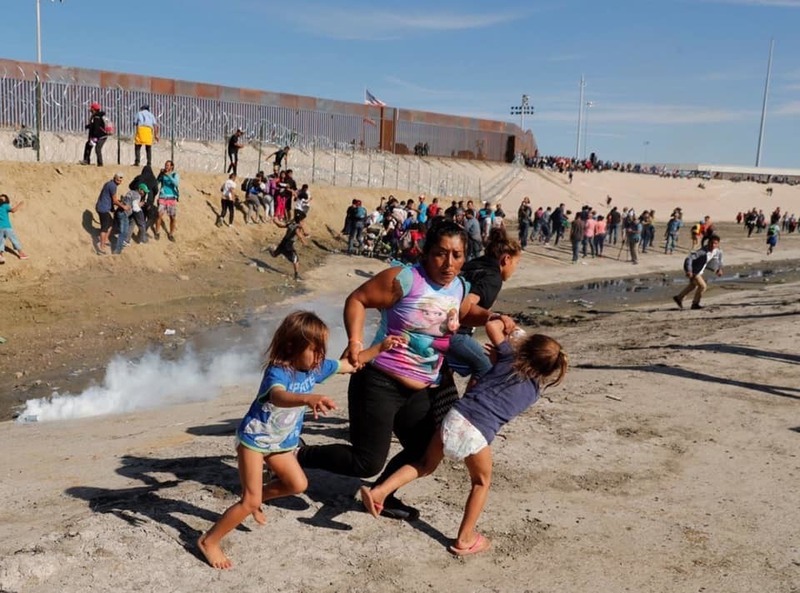 Tijuana, CA - On Sunday, the United States fired tear gas and rubber bullets at asylum seekers peacefully protesting, including women and children on Mexican soil. The United States has increasingly militarized its borders and has been preparing to engage refugees and immigrants with an increasingly militarized response. Attacking women and children seeking asylum is shameful and further criminalizes an already vulnerable population. Additionally, the closing of the San Ysidro border is yet another symbolic response that aims to divide locals in San Diego and Tijuana and pit them against vulnerable refugees. While the US continues to insist that that asylum seekers use “legal channels” they continue to place obstacles including the failure to recognize systemic violence in Central America. The militarized targeting of the Exodous caravans adds to the shameful record of U.S. Border Patrol’s illegal practice of turning away migrants fleeing persecution. This indiscriminate aggression of women, children, and men is in clear violation of the non-refoulement principle of the 1951 Refugee Convention, which protects persons with credible fear of persecution from being sent back to their countries.